not had as good results as I am currently getting. pains, issues with my hips and groin. treatment and would fully recommend them. Alan, really pleased to hear you're doing so well. Its always a pleasure having you in clinic. Thanks for the review and kind words. A big thank you to James for putting my knee to rights, I had a few sessions as when I had knee problems I could not wait for physio via the NHS as I had a holiday of a lifetime planned in USA, especially San Francisco which would involve lots of walking up very steep hills. James set me to work and I am pleased to say my knee held up well in the States and is getting better all the time. On my return the NHS physio came through and on an assessment with them the form they asked me to complete for pain levels was moderate, a few weeks back it would have been severe. I no longer qualify for physio as am on the mend, not there yet but James put me on the right path and if I need the odd top up session I would be more than happy to go to James again. Thank you James I am carrying on with the exercises and hope to go from strength to strength and who knows maybe jogging past Faye Pattison in the near future. Karina! Thats great!! So nice to hear your knee held up on your Holiday of a Lifetime in the USA - Keep up the good work and you know where we are if you need us. I was suffering bad back pain for several weeks and my doctor’s medication was not helping at all. I decided to get in touch with Faye Pattison. She suggested I meet James to see how he could help me. He was so friendly putting me at ease and so professional in his treatment. He worked on my lower back and upper thigh muscles. The results were so good and I did look forward to my session of manipulation. The pain is all but gone I can walk better and am so pleased with the results of my treatment. Will be going back for holding sessions to make sure all stays well. Thank you James will certainly recommend you to anyone with similar problems. Thank you Danuta for your kind review. Its been great getting to know you and hearing how well you are doing. Such a wonderful Team and so knowledgeable. Thank you all. In April I ruptured my posterior cruciate ligament, and originally thought I would be out of action for up to a year. Thanks to the fantastic care and attention of Faye and her team I was (literally) back up and running in under 4 months. The level of support, primarily from Faye but also from Hayley and David, has been exemplary with expert treatment, knowledgeable guidance and clear, friendly communication throughout. I have already recommended Faye and her team to friends and family, and would not hesitate to do so again. Thank you for all your help and support over the past weeks and months – it’s been better than I could have imagined. Andrew, thats so kind, thank you for leaving such lovely words. Its been a pleasure helping and we are all so pleased we have exceeded your expectations. Following some clearing out of a friends shed, I pulled my back, and was in agony, barely able to walk, and sitting was even worse. Literally one session with James of combined soft tissue massage and acupuncture, and the next day I was on the mend. It took me a few days to get back to full mobility, but the severe pain and restriction of movement never returned. Brilliant Service, thanks James for sorting out my back. Always a pleasure helping you Teresa - Appreciate you taking the time to leave a comment! The service is fantastic because you get your sore limbs fixed with a quality massage and the biscuits are nice too! 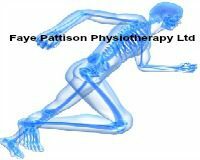 After injuring my shoulder I contacted Faye Pattison Physiotherapy after they were recommended by friends. Faye was always very prompt at replying whenever I contacted her and advised me to see James for soft tissue therapy, James was very good and effective, and always communicated with me, what he was are going to do after just 2 treatments my shoulder is feeling so much better and James also worked on my back where he could also feel that I had some areas that benefit from soft tissue therapy. Would definitely recommend the practice. Thank you for the kind words Jackie, a pleasure to help! Awww thank you Anne-Marie for your kind words. Apparently friends are noticing a difference with your face which is fantastic! Always a pleasure to help with your injuries too. I have been attending the Faye Pattison physiotherapy and I rate the clinic 5 star. Having been diagnosed with severe osteoporosis 3 years ago I developed problems which have left me unable to walk any distance. During the year I have been treated by James for soft tissue therapy and Hayley who I found to be very kind and considerate and who has improved my mobility and pain levels. I have also had two sessions of acupuncture with James recently to help with my sciatica pain. I have been able to get a good night's sleep which has been fantastic whereas before I was having to get up at approximately 4:30am in order to move around to relieve the pain. I recommend the practice to friends and family. Thank you Norma. Always put a smile on our face seeing you in clinic. From all of us at Faye Pattison Physiotherapy!